Would Tottenham rather have Gareth Bale or £100 million? After another season missing out on Champions League qualification, Tottenham are looking down the barrel and could potentially be ready to lose their best player. Gareth Bale had an outstanding campaign for the north London side, winning the PFA Player and Young Player of the Year awards, and proving himself as one of the most devastating attackers in the European game. Rightly so, Bale has been linked with a number of top clubs, with Real Madrid thought to be ready to spend a world record transfer amount on the Wales international. The 23-year-old has so many positive assets. His physical attributes such as speed, agility and strength make him difficult to play against, while his delivery and shooting are excellent. He has added a real goalscoring threat to his game, and is also good in the air. There is little wonder that Bale is being compared to Cristiano Ronaldo. Bale has been pivotal in proving the spark needed to win games for Spurs this term. He has scored last-gasp goals on a number of occasions to turn one point into three, and the side looks galvanised and confident with him at his best. Tottenham also need players that can hold their nerve and have the ability to deal with stress in big games, and would excel at the Strongbow penalty challenge when put under pressure. It is this winning mentality and ability to play to your best under pressure that could be the difference between a top four place or not. Should Madrid offer Tottenham a new world record fee of close to £100 million, it would be a real boost to the club financially, and Andre Villas-Boas would be able to bring in four or five really top-class players to boost other areas of the team. However, whether Bale could be replaced is another matter. There are few players in world football with the attributes that he possesses, and as such Tottenham would lose a great deal of their cutting edge, even with new additions. Spurs have consistently sold top players in recent years when a bigger club comes knocking. 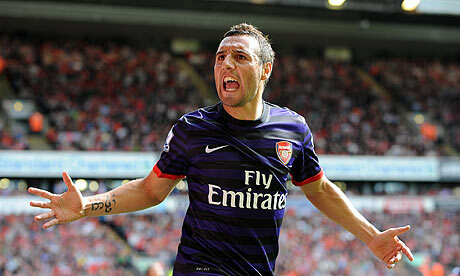 Michael Carrick, Dimitar Berbatov and Luka Modric have all jumped ship when given the opportunity. This is an opportunity for Tottenham to state their intentions of consistently challenging for the top four, and more. If they keep Bale and strengthen with one or two good players in the summer, there is no reason Spurs won’t finish in the top four next season. If they sell Bale, despite the money they would receive, the club could struggle without their main man. Tottenham to sign Barcelona’s Afellay? Amongst the list of forwards and attacking midfielders at Barcelona, one-time Dutch wonderboy Ibrahim Afellay is not the first you would name. He might not even be in the top five or even ten, but this only reflects on the strength Barcelona have in that department rather than being a slight on his qualities. He’s apparently on Spurs’ radar, as much for what he has shown previously because over the last two seasons he has suffered two major injuries and thus not even played 20 games. A cruciate ligament tear at the start of the 2011/12 season curtailed what had been a positive start to life at the Camp Nouwhere he’d made 21 appearances after arriving in January 2011. At the time his move was considered something of a surprise as he seemed destined for first team football elsewhere but he managed to force his way in to the team and kept his spot with his extreme pace, trickery and direct running. Even back then Pep Guardiola was concerned about his team being one paced, and Afellay was purchased to add the kind of speed they didn’t really have. His potential importance to the team as a pace outlet was dampened when the club spent over £30m to get Alexis Sanchez in the summer of 2011, thus putting another obstacle in Afellay’s path. Despite this there was still optimism about his chances but a cruciate ligament rupture in pre-season saw him sit out the entire 2011/12 season. When Guardiola moved on, the new manager Tito Vilanova placed much less of an emphasis on pace, as Barcelona moved back to their roots of fluid movement and ball retention with players trained at La Masia. It pretty much made Afellay a bench warmer at best so despite his impressive early flashes he was loaned out to Schalke. After a decent enough start he was injured in November and out for the rest of the season once more. So why should Spurs be interested in someone so injury prone? Well, the key is the talent he possesses. Afellay got his move to Barcelona having enjoyed a 13-goal season in Holland and was in red hot form on a run of seven goals in 19 games in the season in which they signed him. His combination of speed, smoothness, trickery and goal threat made him a great prospect, desired around Europe. Afellay is best when played wide on the left in a 4-2-3-1 type system where he has the freedom to roam centrally as well as using his pace to outstrip full backs and get crosses in. The one flaw in his game historically is that his assists totals aren’t great. He tends to do things a full speed all the time which can lead to some imprecision and frustration but also spells of devastation. With or without Bale in the side, Spurs still need pace on the left. Moving Bale centrally was a great decision but they necessarily lost the width he provides on the left. Spurs should be planning the squad on the assumption that they will have Bale next season and so signing a player who would allow Bale to remain central could be key. Afellay has injury concerns certainly, but so did Rafael van der Vaart when he arrived. If they can get him fit and use him properly he could be a real bargain. It’s a big if considering his injury history but an intriguing option nonetheless. When Andre Villas-Boas got the Chelsea job in 2011 one of the first names linked to follow him from his successful Porto side was Hulk. It didn’t come to pass. Last summer, Chelsea were linked to Hulk once again. It didn’t come to pass. This summer, they are being linked to Hulk yet again. And their fans should be hoping that this story follows the familiar pattern. Only this time, he has said ‘If I said there wasn’t anything in it, I would be lying. But that is not for now.’ Are Chelsea really about to sign a wide forward to play centre forward? If Chelsea do want to sign a striker, and all signs say they do, the quality of names they are being linked with is bafflingly low or with players who don’t play the position. They’ve been linked most strongly to Man City cast-off Edin Dzeko, Fiorentina attacking midfielder Steven Jovetic and Hulk. There is Gonzalo Higuain on the market and even closer to home, the returning Romelu Lukaku. On top of this, they are expected to sign yet another attacking midfielder/forward type in André Schürrle. It all seems like a bit of a messy process and would indicate an unusually scruffy transfer policy for Chelsea compared to recent years. But one thing is for sure, amongst this group, Hulk is definitely not the answer. There are two key reasons that he is so wrong for Chelsea. Firstly, he’s not a central striker. His positional versatility is limited to the right hand side of a three man forward line. Not only does he not fit Chelsea’s need, they don’t even play the system that he can almost exclusively play in. The reason he is so position limited is that he is a one trick pony. His sole attacking device is to get the ball on the right, cut inside and try to smash the ball with left foot. Does that sound like a basic Arjen Robben perhaps? Well, imagine Chelsea eyeing up Robben to play as the lone striker. Would that not be considered ridiculous? Secondly, the transfer fee is insane. Last summer Zenit St. Petersburg paid £50m for Hulk and the football world was stunned, staggered and amused in equal measure. They had to pay a premium because they were buying from Porto and because they were buying very late in the transfer window. Ask Monaco about buying from Porto and ask Liverpool about buying late in the transfer window. See; Carroll, Andy. The price was absurdly inflated. Now, Chelsea are being talked about as offering £35m for Hulk. £35m?! It’s unfathomable. Zenit would be swallowing a £15m loss in one year, and more critically, he’s just not worth that much money. 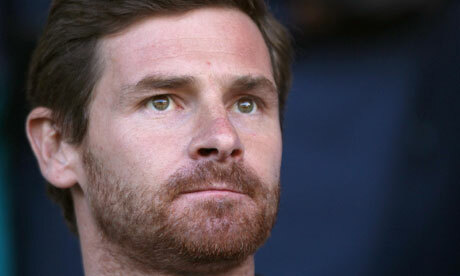 Before Villas-Boas’ single season at Porto transformed his career, his highest league return was eight goals. In Portugal. 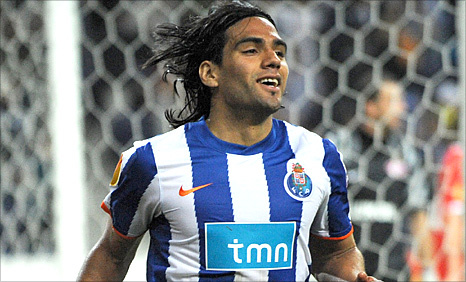 The season after AVB and Falcao left Porto he scored 16 domestic goals and has got seven in Russia. With respect, these aren’t the best leagues in Europe we’re talking about. Luis Suarez cost Liverpool £24m after scoring 35 goals in Holland. Even at his peak Hulk’s highest was 23. Is this a career record that screams out £35m? In other words, his last calendar year compares unfavourably with Fernando Torres. Perhaps that is the starkest way of phrasing it. If Chelsea lay out this much for a player of no positional need, no proven record of scoring in major competitions, the year Porto won the Europa League it was Falcao getting the goals, Hulk only got two in that run, and for this crazy fee it will be at odds with their recent policy. He’s a one-season wonder, who only has one trick in his arsenal. If they sign him they are blocking the path of Romelu Lukaku to the first team and still not addressing their search for regular striker in the process. But, he can smash a free-kick sometimes. Leandro Damiao – a good signing for Tottenham? Spurs and Leandro Damiao, two names that have been linked together for the last two years; could this summer see them come together at last? Well, maybe, but more importantly, would he be a good signing? Is he worth such a long pursuit? The key thing to remember with him is this; don’t just look at the stats, you have to understand the whole story first. The short answer to the question is, yes. Spurs have a big problem up front. Jermaine Defoe has a long established career pattern. He scores goals in bursts and bundles, scores spectacular goals, scores big goals, but doesn’t score reliably. He is also ‘just’ a goal scorer. That in itself isn’t a slight on him, someone needs to just score, but it makes him less than ideal for Andre Villas-Boas’ system and means that he can never get to the level above really good Premier League striker. His touch is decent and despite his small stature he can hold it up well enough but his distribution is basic and his inventiveness almost non existent. He’s sharp paced but not electric. Good but not great. As for Emmanuel Adebayor, his ceiling is much higher than Defoe’s, his optimum performance of a higher class but he’s even more inconsistent. His physical gifts are manna from heaven for Premier League success, but he doesn’t use them effectively enough. He should dominate defenders with his strength and pace, he should score 25 goals a season with his technical quality and positioning. He should be the fulcrum of the attack, allowing Gareth Bale, Lewis Holtby and Aaron Lennon to buzz around him causing chaos. But only sometimes does he do that. More often than not he doesn’t. This is where Damiao comes in. Leandro Damiao will be 24 at season’s start, is 6ft 1 1/2′, quick, strong, tough and has a poacher’s eye for goal. He draws comparisons to Brazilian Ronaldo in his pomp in his homeland. One of things that might alarm Spurs fans is his goals stats. In his years as a starter he has scored 8, 18, and 17 all competitions goals. That is a strike rate of less than the desired one in two. That is in an open Brazilian championship, more known for goals than for defence. Spurs fans may read that and wonder how he can be worth all the fuss. Is he not another Adebayor/Defoe type, all the gifts but not reliable enough? The key thing to look at are his team mates at Internacional whilst he has been there. There’s no Bale, Lennon or Dembele supplying him. He’s pretty much had to make all of his goals himself. In the current squad, the only other international quality player is defensive midfielder Willians. Last season the club finished 10th in the league, which was proceeded by 5th and 7th placed finishes. He’s not like Neymar, playing in a team where he is surrounded by talent. He’s the only top-quality player and yet still has managed good returns. This is why he can be a big success at Spurs: He’s a prototypical build for the Premier League, he is used to playing as a lone front man, both for Internacional and for Brazil, he has good touch and the ability to bring others in to play high up the field. He has scored well despite poor quality supply in Brazil. If Spurs keep Gareth Bale he will have the best supply line in the world. Add him to Lewis Holtby who should improve markedly with a full pre-season, Aaron Lennon and Moussa Dembele and even the overlapping full backs and he will have all the supply he can dream of. Spurs have lacked for a clinical finisher, and that is exactly what Damiao is. You don’t score 35 goals in two seasons with negligible opportunities unless you are a potent finisher. He is exactly that, and exactly what Spurs need. Tottenham take on Manchester City this Sunday knowing that they need to pick up three points to get their challenge for a top four finish in the Premier League back on track. The north London side have suffered against City of late, with no wins in the last five meetings between the sides, but Andre Villas-Boas’ men will need to end this three-year hoodoo to salvage their campaign. Tottenham’s last victory over Manchester City came back in May 2010, with a Peter Crouch goal securing victory, and fourth place in the league, at Eastlands. Since then it has been one draw and four defeats for the White Hart Lane club, and Spurs fans may well be thinking that a bit of revenge is on the cards. The defeats of late include a 5-1 drubbing on the first day of last season at White Hart Lane, but a game that sticks more in the memory is the 3-2 loss at the Etihad Stadium in the reverse fixture. Spurs had put their terrible start to the campaign behind them and were all guns blazing towards a place in the Champions League – some were even touting Harry Redknapp’s men as an outside contender for the title. However, an end-to-end game proved heartbreak for the travelling support, as Jermain Defoe came within inches of winning the game in the dying moments, before City went up the other end and Mario Balotelli scored a penalty. Tottenham’s characteristic second half of the season demise started there. The predictable demise has started to take effect again this term with unnecessary defeats in the league to Liverpool and Fulham, and elimination from the Europa League at the hands of Basel. The slip up means that Villas-Boas’ men have dropped from third to fifth place, two points behind Arsenal (with a game in hand) and three adrift of Chelsea. All is not yet lost, but this weekend could be a real factor in who ends up in the Champions League next term and who is awarded the runners-up prize of the Europa League. With Chelsea travelling to Liverpool on Sunday and having cup success in the back of their mind, there is every chance that Spurs can claw back some, if not all, of the deficit that separates the clubs. Arsenal should win at Fulham, but ex-Spurs boss Martin Jol will want a reaction from his side after their midweek home defeat to Chelsea. 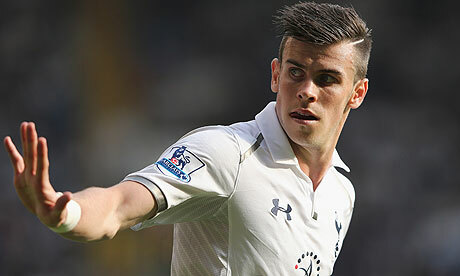 Spurs have Gareth Bale back in contention for the clash with City, which is a real boost for the hosts. However Spurs should not solely rely on their Welsh wizard to individually win them the game – a team effort and belief in the camp is needed to pick up three points. If they don’t, wins for Chelsea and Arsenal could mean that the gap is too great for Spurs to come back from with only five games remaining. This weekend features three massive games in the race for the Champions League places as the season enters its final few weeks. Arsenal’s late season charge to make the top four takes them to Craven Cottage. After a midweek draw against Everton, the Gunners will feel they need three points from this away trip before Manchester United come to the Emirates next weekend. After their surprise away win at Spurs a few weeks ago guaranteed their Premiership status for another season, Fulham’s season is drifting towards its conclusion with no win in their last three games, which included a crushing home defeat to local rivals Chelsea in midweek. Arsenal’s greater desire and need to win should be enough to see them to a comfortable three points at the Cottage. A huge game at White Hart Lane as Spurs host the current champions. Spurs have been feeling the pressure once again late in the season with their last two home games ending in defeat to Fulham and a draw with Everton, whilst also crashing out of the Europa League to Basel. This is a big opportunity for them to get themselves back in a prime position for the top four against a Manchester City side who looked jaded in their 1-0 home win over Wigan in midweek. The crowd will certainly be up for this game as well and with the likely return of Gareth Bale, Spurs will fancy their chances of getting a positive result out of this game. City know that they are not going to catch Manchester United and that they have second place pretty much sown up. For them all the focus is now on the FA Cup final and they may make a few changes after playing three games in a week. Spurs know a win is vital as they still have tough away games to come against Chelsea and two teams who are battling for survival in Stoke and Wigan. 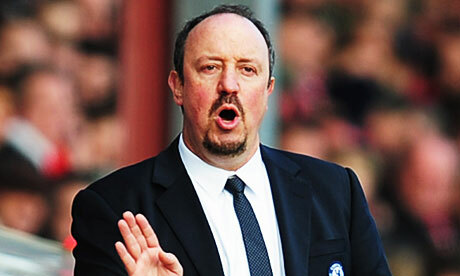 Rafael Benitez returns to Anfield for the first time as an opposing manager with his Chelsea side. The Spaniard is sure to get a terrific reception from the home supporters and it will be interesting to see how it affects the Chelsea team. When Gerard Houllier returned with his Aston Villa team a couple of years ago and got an amazing reception Liverpool cruised to a 3-0 victory. This Chelsea team though are a lot more experienced than that Villa side and you would expect them to be able to cope with what is sure to be a passionate atmosphere. On the pitch Liverpool have won four of their last five meetings in the league against Chelsea and they drew the other. Liverpool have once again saved most of their best performances for games against the bigger clubs this season, even though this may not be borne out by results. Benitez continues to rotate his squad well to cope with their demanding fixture list and their 3-0 away win at Fulham in midweek was certainly impressive, whilst they were unfortunate not to take Manchester City to extra time in last Sunday’s FA Cup semi-final. Liverpool’s recent record against the Blues may well swing this game in their favour and Daniel Sturridge may well be out to prove a point against the club who he feels never gave him a proper chance to make his mark in his time there. Tottenham were eliminated from the Europa League last week at the hands of Swiss side FC Basel, going out on penalties at the quarter-final stage. Andre Villas-Boas’ attitude to the competition was positive from the start, largely down to his experience of winning the tournament with Porto. However, given the level of effort in overcoming the likes of Inter Milan and Lyon, Spurs’ domestic form has dipped, which now threatens their chances of finishing in the top four. With six games remaining Spurs find themselves in fifth place, out of the top four for the first time since the start of the campaign. With tough games against Chelsea and Manchester City still to play, the north Londoners will really need to up their efforts if they are to claw Arsenal back and secure a place in next term’s Champions League. The Europa League is a tricky competition to negotiate; it seems like it is either a tournament you look to go out to win or be eliminated in early doors. The fact that Spurs have relinquished their positive results against Inter and Lyon by being put out by Basel means that they have done neither, and now could be stuck in the same situation next season with a fifth-placed finish. Tottenham have been backed (using FREEbets) at 2.50, but the toll of European football just might have left the Andre Villas-Boas bandwagon without the momentum to go any further this season. Villas-Boas’ outlook to take the tournament seriously is admirable, and the victories that Spurs have recorded have been enjoyed by the White Hart Lane faithful. However, the real objective must be Champions League football, which may now be beyond them given the travel and exertions in the Europa League, and the knock-on results domestically. Missing out on the top four has widespread repercussions for Tottenham. Gareth Bale will be pursued this summer by some of Europe’s top teams, and if Spurs miss out on the Champions League the Welsh attacker may well be tempted to jump ship, just as Luka Modric did last summer. Arsenal have looked far from the side that has been superior to Tottenham over the last ten years this term, and the opportunity to finally finish ahead of the Emirates Stadium outfit could have been thrown away. Hindsight is a wonderful thing, but most Spurs fans would trade the victories over Inter and Lyon for a chance to play in next term’s Champions League. Perhaps more strength in depth to compete on two fronts is needed, but one thing is for sure; the entire club and its long-suffering fans will be pained at the hands of gloating Arsenal supporters should Spurs throw their season away once again. Tottenham fans have had to endure inconsistent performances from summer signing Gylfi Sigurdsson this term, but the playmaker has improved notably over the last month to six weeks for the north London side. Sigurdsson continued his top form with a pinpoint free-kick for Iceland on international duty. With the White Hart Lane side set for a tough run-in to the Premier League season, Andre Villas-Boas will be glad to have Sigurdsson playing well and hitting the net. Scout Report A powerful, hard-working defensive midfielder, Mulumbu is good at breaking up the attacks of opponents. His agility and strength means that he is both good at intercepting and strong in the tackle. He has a wonderful enthusiasm for work and his selfless approach rubs off on his team-mates. He is tidy on the ball and rarely makes mistakes. Where does he fit? 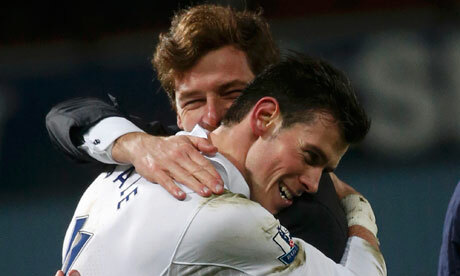 Andre Villas-Boas has tended to deploy two deep midfielders to allow Bale a free license. Sandro is injury plagued and Scott Parker hasn’t reached the levels of a couple of seasons ago. 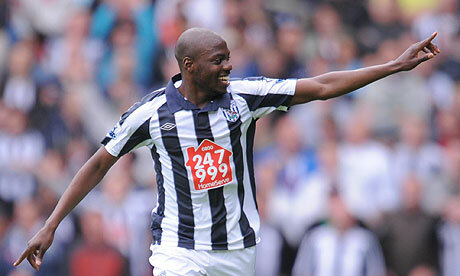 Mulumbu is 26, experienced in the Premier League and can play straight away. He would be a valuable piece in the midfield. How much? West Brom do their business efficiently so a bid of £6-7m would represent a good profit for them. It fits nicely in Spurs’ value range too. His contract expires in 2014 so it’s a similar situation to Dempsey. 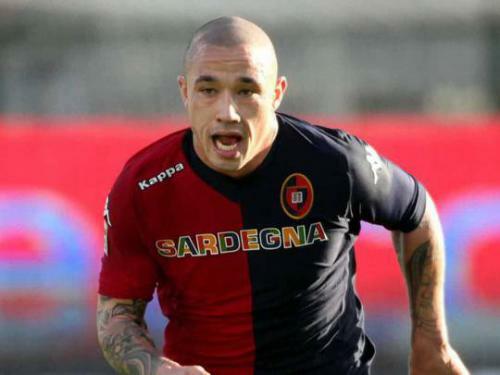 Scout Report Nainggolan is a 24 year old Belgian midfield dynamo. A genuine all rounder, he is tough, energetic and composed on the ball. Having dropped deeper in to the midfield than he played in his youth, he is better using his aggression in his new deeper position. He is all action, gets in your face, takes the ball off you and then picks out a quality pass. Yet another Belgian superstar in the making. Where does he fit? Spurs don’t really have anyone like him at the moment. He offers a bit more on the ball than Sandro and Parker and with some seasoning and experience could become a dominant presence. How much? Cagliari are not in a strong enough financial position to resist good offers. Something like £12m would do it, which for a 24 year old potential superstar is very good value. His contract also expires in 2014 so the £12m is a discount on his true value. Spurs should pounce on him whilst they can. Scout Report A sublimely talented young man, Eriksen has been compared to no lesser than his idol Michael Laudrup. Possessing of all the finest attacking qualities, Eriksen is technically supreme. He has rapid feet and can receive and move the ball before the defender gets near him. He pops up with his share of goals and provides a supply line of opportunities to his strikers. He gets himself in to areas that are very difficult to defend. You can keep him quiet for 88 minutes and then he will do something magical to win a game. He’s like watching a Danish Andres Iniesta. Where does he fit? Spurs have had some problems unlocking defences at times when their A game breaks down over the last couple of years. If Bale gets shut down they can look a bit listless. They have added Lewis Holtby to try and provide that but brining in Eriksen too would give them an amazing creative hub. If they can find a striker to take all the chances Eriksen, Holtby and Bale create they could work themselves towards being a serious Premier League dark horse. How much? Another whose contract expires in 2014, reducing his true value, Eriksen could probably be acquired for around £15m which could prove to a monster snip. It’s about what they laid out to get Luka Modric, who was at a similar stage of his career. 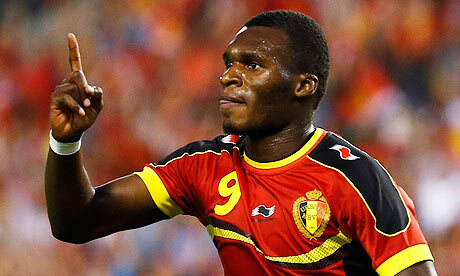 Scout Report Benteke is an absolute powerhouse of a young striker. That he has made such a dramatic impact playing in such an awful Aston Villa side is testament to his potential. He has pace, power and goals to offer. Dominant in the air and in the hold-up phase, he is a worthy target man and can only get better at just 22. Where does he fit? Spurs need a striker. Adebayor has looked ineffective and Defoe blows too hot and cold for a title challenge. Benteke would give Spurs a completely different option, able to nod home crosses and race on to the tight passes that the creative players are able to feed him with. He could easily score 20+ goals with such good players around him considering what he has done at Villa. How much? This would depend completely on whether or not Villa get relegated. If they do then he could probably be had for around £7m, but if they stay up they are in such dire financial straits that surely a bid in the £13m range would sorely tempt them to sell. Spurs could comfortably afford that if they make the Champions League. Scout Report Martinez is the latest striker to attend the Porto finishing school and emerge with his reputation rapidly enhanced. 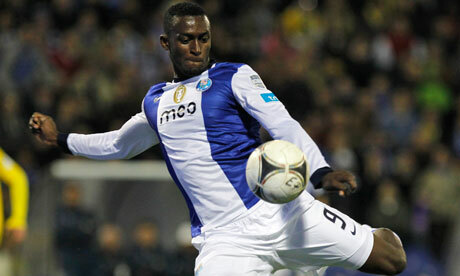 He has already scored 23 goals in Portugal this season, which compares favourably with alumni Radamel Falcao and Hulk. He has pace and inventiveness to match his finishing abilities. When he gets in to a groove he can be impossible to stop. Where does he fit? Tottenham love pace in attack and they need someone to take chances more ruthlessly. AVB could tell him to roam around the defensive line waiting to be put through on goal and not worry about involving himself in general play. The sight of Martinez and Bale hurtling at defences together would terrify opposition managers. How much? Porto are a hard club to buy from so this probably wouldn’t be their priority. It depends if they sell anyone else, which would drive the price up, but if Spurs move quickly he could be gotten for £12-15m.